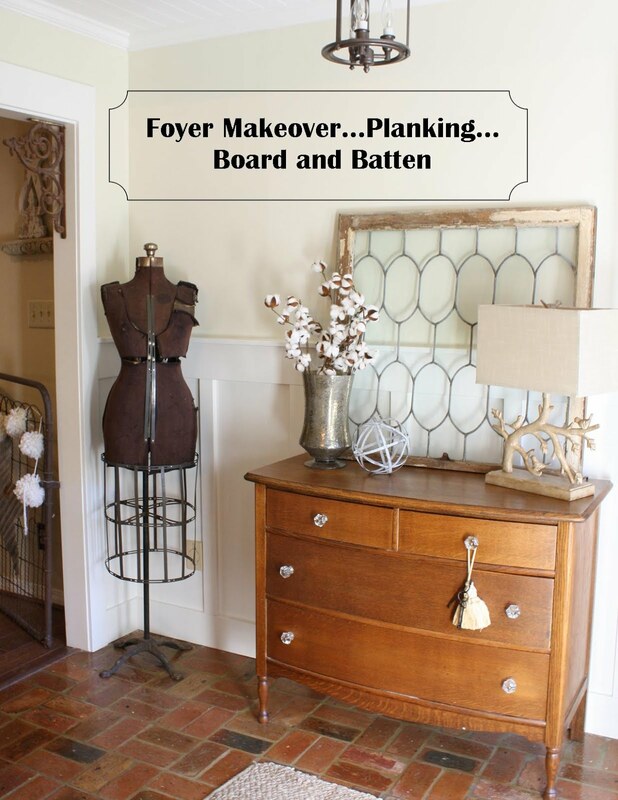 Flea Market Style is hosting their inaugural "I'm a Flea Marketeer" party...so I thought I would join in on the fun! 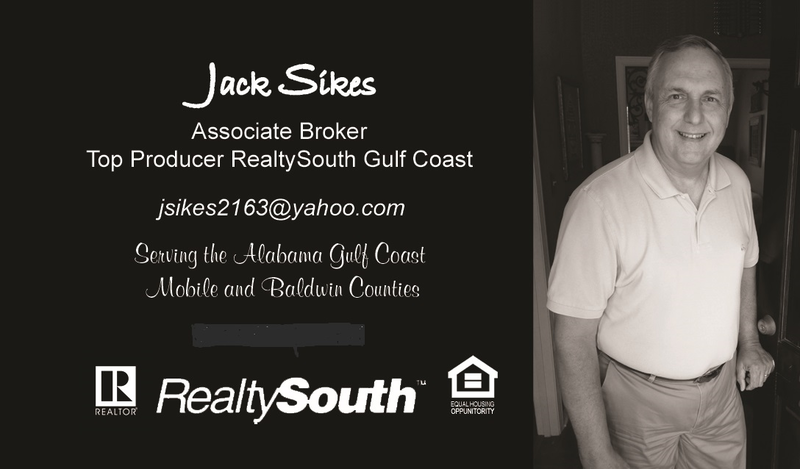 Please be sure to go over and check out all the cool stuff! I love flea markets, antique shops, estate sales and thrift stores...'bargain" is my middle name. 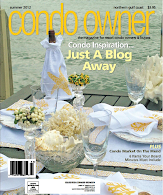 In 1999 I started my antique business...named it "Cottage Charm"...I was located in several upscale antique malls and shops along the coast...in 2005 I decided to close the business so I could spend more time working with our beach rentals (keeping up with three beach condos is a very busy job). While I had the business, I did a lot of shopping for it at large flea markets in the southeast. This is where I found some awesome "vintage enamelware buckets"...sold lots of these in my shops...but I had to keep a couple of them for myself. Here is one of them that I have in my kitchen, that I use to hold my kitchen towels (I think it's been in this same spot for five years...only move it at Christmas time so I can display my "vintage kitchen Christmas tree). Here are some other great ideas for using these little cuties...holding your kindling wood at your fireplace...magazines...flowers or plants...toilet paper or use one at Christmas this year for holding a Christmas tree! 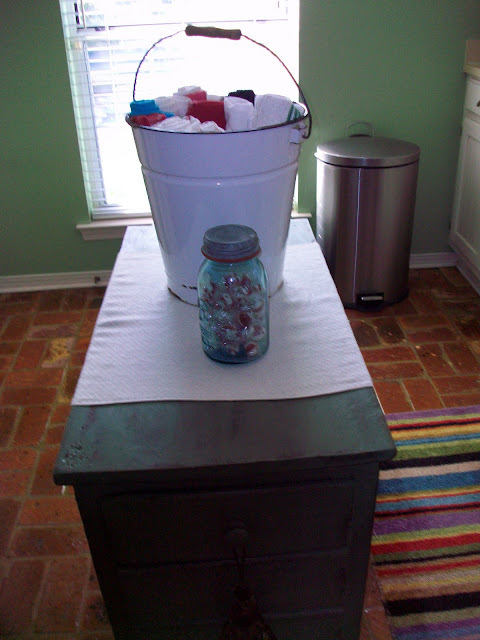 Another favorite find...my aqua blue canning jars!!! 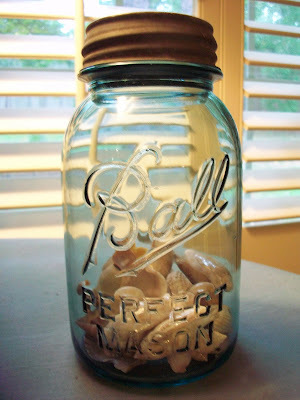 I LOVE those jars!!! I've seen a few recently at a antique store that I frequent. I am considering scooping them up and starting a collection. Those canning jars are gorgeous! And what a clever way to store kitchen towels - brilliant! Your blog has a new look. I like it! I love the blue jars too. I have been looking for one. Cute idea for the towels. I have several buckets like that in which I store fat quarters for quilting. I have always loved enamelware but just have a couple of small pieces in my "collection". 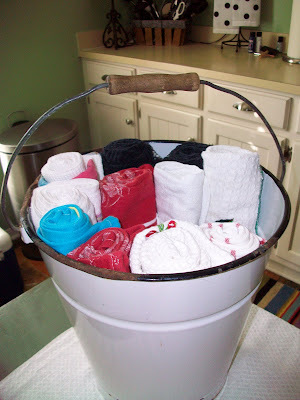 I really like the big bucket with the towels...great storage! Love the enamel ware buckets. Great idea for the bathroom towels. I think I will have to try this in my son's bathroom. Thanks! What a clever ideas, Linda!! I love all enamalware, especially the white and red. I also have some of the blue canning jars. They are so cute and I love to have them on hand for little vases. Ooooh, love those aqua blue jars! Great find. Good finds! Love the jars. Isn't that shade of aqua wonderful? Like certain beach glass, am I right? I've just taken my first look at your blog. 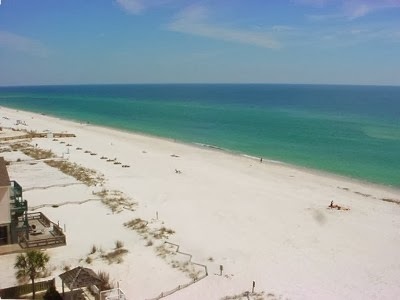 It has left me hungry and longing for the beach !! What a calm, serene feel it has. 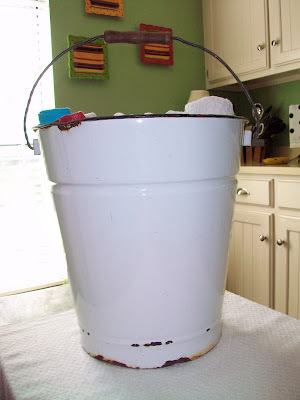 Linda, I love the bucket, they are so versatile and decorative and they have so many uses. Very frenchy and coastal too. I love your blog and I'm following you too. I really like the enameled bucket. I collect glass jars, too. Right now they are in the basement, but you have reminded me to think of interesting ways to use them around the house. I used to just display them all together. I am going to steal that bucket idea! What a great beachy look you have created. Good morning Linda...I got that burlap webbing at Walmart (one that still has a fabric department). It is only 67 cents a yard so it's a great bargain! Someone also told me that got some at Hobby Lobby (if you have those where you live). Just love your white bucket! Happy White Wednesday! Love your blue canning jars. I use them for everything. Cute trick as a vase is to take the glass sealer disc out, leave the metal lid on and fit the flower thru the top ... very pretty. Love the enamel wear bucket. I have a pink enamale wear basin. That makes me think... where is that little jewel? Love the old enamel wear coffee & tea pots too. Don't you? I am with you on both goodies. The enamelware is great. I found a vendor selling jelly jars cheap, cheap. My mom told me not to pass on them and I am glad I listened. Great ideas on using the enamle ware. 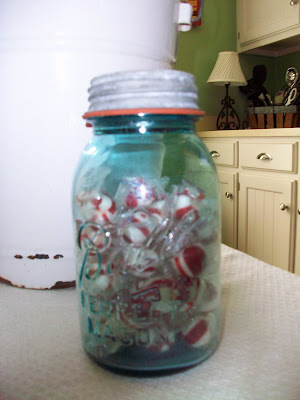 You need candy canes in a jar to bring more Christmas spirit into your home. My week at the beach!